Thessaloniki holidays take you to Central Macedonia in northern Greece. With a history that spans three thousand years, Greece's second city has numerous sightseeing opportunities. Holidays to Thessaloniki are a perfect choice for a city break as they offer an eclectic mix of the ancient and the modern and are within easy distance of sandy beaches on the Kassandra Peninsula. Holidays in Thessaloniki can be taken from Easter to the end of October with temperatures rising from twenty to thirty at the height of the season. 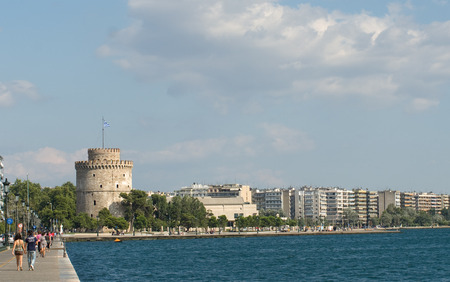 If you wish to explore this fascinating city with its wealth of churches, museums and historic sites, as well as a large number of shops, you may be tempted by our cheap Thessaloniki holidays. They are considered to be great value for money as our commitment to quality and service never wavers. With good accommodation, superb restaurants and many bars and clubs providing a lively nightlife, our low cost Thessaloniki holidays appeal to a wide variety of visitor. For further information and to find our latest Thessaloniki holiday offers, please use our search facility.